Lynn Boggess' tactile landscapes consist of seemingly endless layers of thick, lush paint. 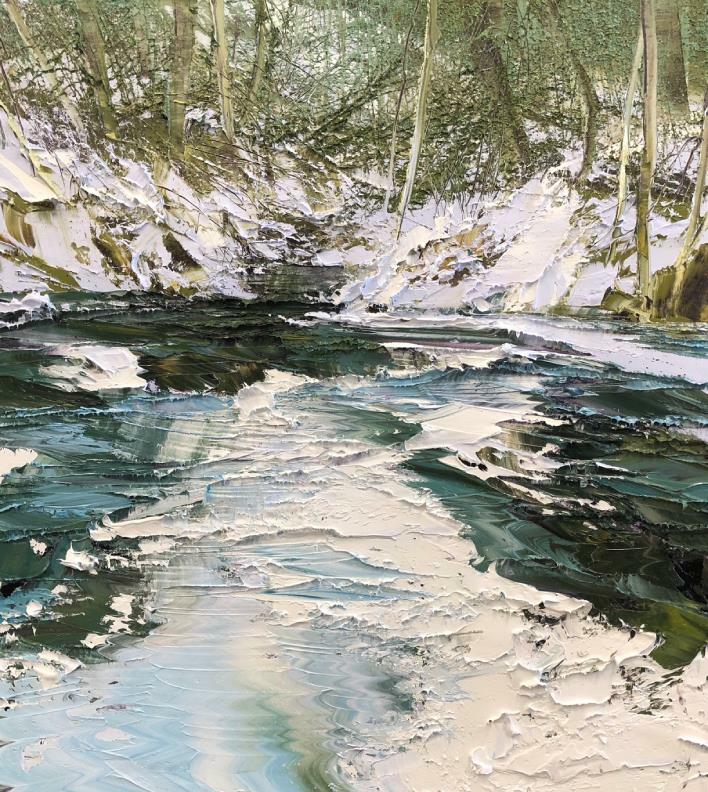 In his landscapes Lynn captures the rushing movement of water, snowy hillsides, the rigidness of trees, the vibrancy of changing leaves, and the mood of each season. Boggess titles each painting the date they were created.